Also known as acetylsalicylic acid, aspirin is an analgesic painkiller known to relieve aches and pains. It helps to reduce fever and is commonly used as an anti-inflammatory medication. It works as a non-steroidal anti-inflammatory drug (NSAID), but works in a different fashion by affecting different enzyme variants than most other NSAIDs. 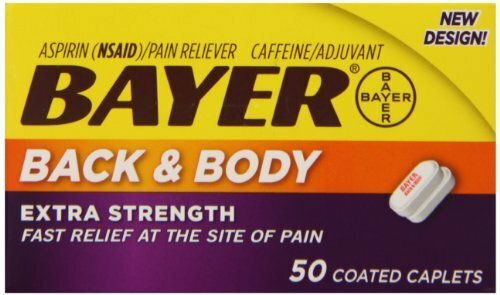 On this site, aspirin is frequently used as part of the ECA stack, which stands for Effedrine + Caffeine + Aspirin. This discussed in detail in our blog post titled What is the Best Fat Burner? In that stack, aspirin is an optional part of the stack, and is usually not recommended, in favor of fish oil instead. Sign up for future Aspirin news! 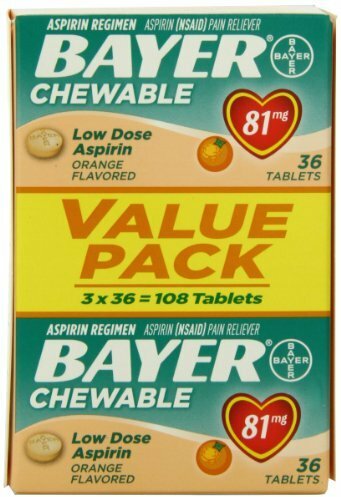 Click the button below to sign up for future Aspirin news, deals, coupons, and reviews!